We are not alone! In 1977 Steven Spielberg's blockbuster science-fiction classic took the world inside the search for UFOs, and gave moviegoers a new vision of alien visitors, as designed by Academy Award-winning special-effects artist Carlo Rambaldi. 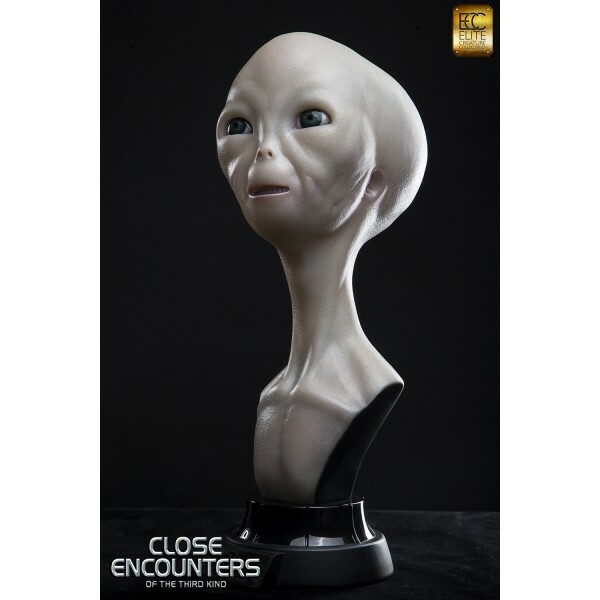 Now Elite Creature Collectibles brings the extraterrestrial beings to life for the first time in a high-end collectible. The alien life-size bust stands over 24” and is accurate in every detail, from the milky complexion to the glassy, ethereal gaze. 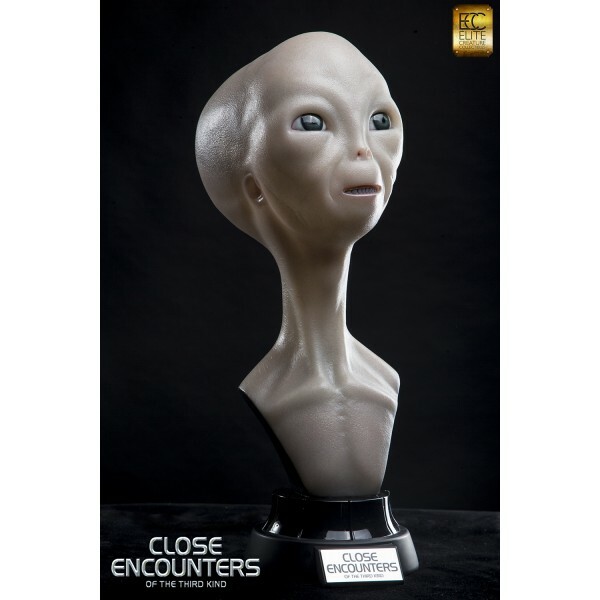 The alien bust is set atop a themed base, and is sculpted by Special FX Master Steve Wang. * Approximately 24 inches in height. 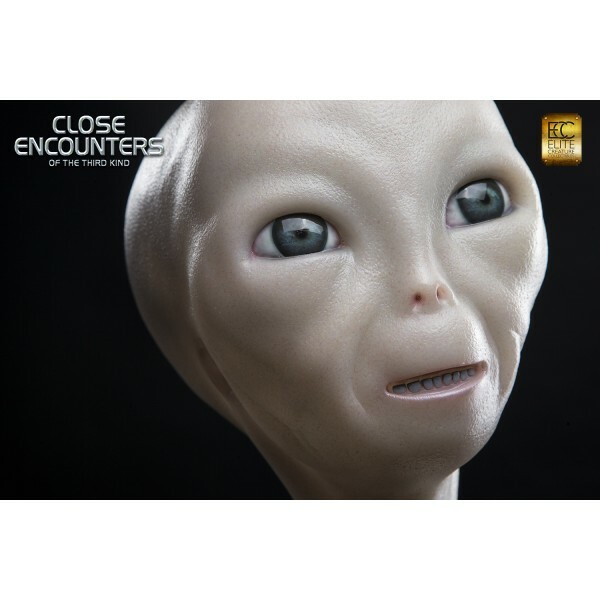 * Cast in a translucent resin for a life-like skin effect. * Attractive, themed display base.